If you are in the market for a rock-solid 80% efficient furnace with a excellent warranty the Rheem Classic Plus Series Super Quiet 80 RGPT is worth a look when you are gathering gas furnace prices. It’s quiet operation is just the tip of the performance ice berg. Here’s a letter from Scott in Evansville, Indiana that details the Rheem Classic Plus Series Super Quiet 80 Upflow RGPT gas furnace price and many of the features that make it a best seller. “We recently did some renovation to our finished walk-out basement including adding a small kitchen and expanding the bathroom to accommodate our son and his family. He was laid off from his management job in manufacturing last year and finally landed something nearby here. In these times it made more sense to move in here than to buy a home – at least until he knows this current job is going to be stable. Plus we love having the grandkids, 2 and 4, around. As part of the renovation we got rid of the cheap builder’s grade furnace that never did seem to keep up in real cold weather. Good energy efficiency at 80% without the cost of a 90%+ efficient model. Plus, I believe 80% furnaces have better service track records than 90%+ furnaces, though don’t have hard data to back that up. There’s just less that can go wrong, IMO. Re-engineered door and top plate reduce noise for quieter operation. Multi-patented heat exchanger is crafted from aluminized and stainless steel for both performance and corrosion-free durability. New Inducer Motor is specifically designed to be quieter. Slow-opening gas valve optimizes gentle, consistent heating. In-shot burners eliminate the need for adjusting the air/gas mixture, insuring more efficient and consistent performance. Adjustable airspeed allows the contractor to perfectly match air flow to the requirements of your home. The permanent, washable filter is easy to access and will provide cleaner air more consistently. 20-year warranted on the heat exchanger; 10-year warranty on parts. The cost of the Rheem Classic Plus Series Super Quiet 80 Upflow RGPT was very comparable to other units I priced and I thought it had a better warranty as well as track record with customers. 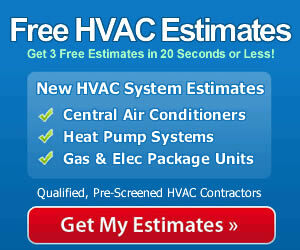 Scott’s post will be added to our HVAC prices pages where readers can keep track of pricing and compare notes. We are happy to share prices and the experiences you have in the process of choosing a furnace and getting installed. As far as installation goes, you’ll get far more performance and reliability form your furnace when you hire a qualified contractor who is familiar with the brand. It requires a unique skill set and set of tools to do the job correctly and to achieve full efficiency and safety from the furnace. Make the most of your investment by having it professionally installed and it should serve your home very well for many years to come.